After long time LG decided to introduce their new tablet LG G Pad 8.3 in worldwide at IFA 2013. 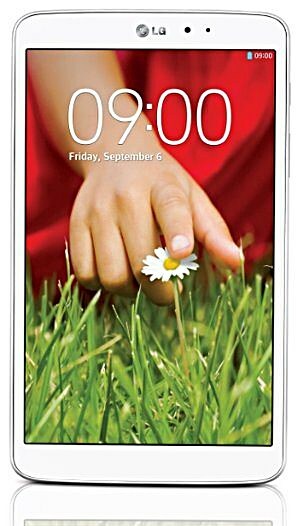 With this announcement, LG new G Pad 8.3 Specs and features in detail are also released in press release. LG G Pad has 8.3 inch WUXGA display with 1920x1200 resolution, quite enough to enjoy watching HD clips. Android Jellybean 4.2.2 used as OS with 2GB RAM and, equipped with 1.75 GHz Qualcomm quad-core Qualcomm Snapdragon 600 processor. Will surely help to quickly open, use and close applications. G series new LG G Pad 8.3 weight and it pocket size makes easy to use and take it to anywhere either in public transport. LG will announce G Pad 8.3 tablet price in IFA 2013 event with tab unveil.